Otto Klement, ca. 1900. We are indebted to Bud Meyers of Lyman, who dug through the scrapbook collection of his late parents, Bud Meyers, the longtime Skagit River steelhead guide, and Maxine Meyers, the longtime Lyman postmaster, and found several new photos that show us what both the town and Klement looked like. This Darius Kinsey studio photo is stamped with the town of Sedro-Woolley so we know that it was taken sometime after 1899. Otto Klement is among the important handful of very early Skagit River settlers whom every serious student of local history should study. Besides excelling as a businessman, timber cruiser and friend of river Indians, he was the first to extensively record his experiences, possibly taking his cue from his Hamilton neighbor and New York Times columnist Frank Wilkeson. From the time of his arrival on Oct. 12, 1873, he was in the thick of many early historic events up and down the river. He kept some sort of diary and in 1919 he started writing manuscripts, although none were actually published until a series of bylined history columns that debuted in the Mount Vernon Daily Herald beginning on Oct. 19, 1926, while he was living with his daughter in Oregon. In his memoirs, which he began dictating to Skiyou pioneer Ethel Van Fleet Harris in 1935, he established that in 1873 he was the second white immigrant to settle above the log jams that choked off the river near the site of future Mount Vernon. He arrived on Oct. 12, 1873, after paddling alone across Puget Sound from Port Gamble. In the surviving chapters he described his adventures over the next 50 years. And now, with the help of descendants who wrote to us after finding our original Journal profile, we can add more to this pioneer's genealogy. Back home in Wisconsin Klement was born as Otto Zeidler on Dec. 20, 1852, near Fort Atkinson, Wisconsin. Today it is a town of 11,000 and Money Magazine recently named it "One of America's Hottest Little Boomtowns," but when Otto's stepfather arrived in the mid-1840s, it was still a challenging frontier. Located just northeast of Lake Koshkonong, the area displayed great potential as farming country when federal troops, including a young Abraham Lincoln, chased a band of Sac Indians across Rock River during the Black Hawk War of 1832. Nearby attractions include the Effigy Mounds at nearby McGregor, fashioned by Mississippian Indians about 1,500 years ago. In one of many oddities of his genealogy, Otto's Bavarian-born mother, Barbara Zeidler, married widower Samuel Klement 11 days after Otto was born. Unless she was a widow, she appears to have originally been without spouse but in the Samuel Klement family history that he wrote in 1930, Otto never addressed his possible illegitimate birth. Added to the details of his unusual family is the fact that Samuel's first wife died just six weeks earlier. Samuel was indeed prolific as a patriarch, marrying three times and widowed twice, fathering 18 children, adopting four others — including Otto, while becoming the grandfather and great-grandfather of more than 100 children. Samuel Klement was born on Sept. 11, 1814, near Budapest, at the time of the Austro-Hungarian Empire. Apprenticed as a tailor while quite young, he became a journeyman in his trade while also attending school in Austria, Switzerland and Italy. At age 22 in early 1836, he sailed for the United States. Upon arriving in New York, he discovered a surplus of immigrant tailors but he persevered. After a few years he learned that the new territory of Wisconsin was a Mecca for Germans. After traveling west by canal boat from Buffalo, New York, he discovered to his disappointment that Milwaukee was a "mere fishing village." On the way, he made a pact with several fellow Germans, both men and women, to form a colony and to stake a claim in the wilderness. Sometime in the 1844-45 period, they walked through vast forests more than 50 miles until they reached the Rock River near where it merges with the Bark River, northeast of Lake Koshkonong. After fording the river they staked out a collective patchwork of claims totaling more than 200 acres, due north of the lake. Most of the colonists were carpenters so they quickly built shelters. Over the next two years, they grew crops, cooked sorghum molasses and raised sheep while hunting the abundant wild game. Sam drew on his tailor training to provide clothes after the children and young women were taught to knit wool. Although Indians caused general anxiety, federal troops led by a General Atkinson came to the settlers' aid and a subsequent fort northeast of the lake was named in his honor. Otto was born west of Fort Atkinson in the township of Oakland. After a cholera scare and after products of the crops barely returned a profit at the nearest trading post in Milwaukee, colonists began moving on, some to St. Louis, the town in Missouri on the Mississippi River that also welcomed Germans. Although Otto described his stepfather as a bumbling farmer, he also noted that Samuel's honesty and his shrewd business sense made him not only a survivor in the wilderness but led to eventual success and a comfortable, if not wealthy, life after he bought up other colonists claims, amassing nearly 300 acres. On Dec. 8, 1849, in the town of Oakland, Samuel married Salemaha Linkish, a widow with two infant boys, who Samuel adopted, and they had one son together. After she died on Nov. 19, 1852, Samuel married Barbara Zeidler in the town of Jefferson on Dec. 31, 1852. She was a 19-year-old who gave birth the infant Otto 11 days earlier. She gave birth to eight children and died on Feb. 24, 1870. Samuel next married a widow, Maria Caroline Betts, in Helensville on Aug. 26, 1870. She already had one infant boy and they had nine more children together. That was by all accounts a rocky marriage. They divorced legally once in 1876 and remarried in Mary 1877. Samuel died on Oct. 31, 1900, and Caroline survived him until 1903. During the lean times of the late 1840s, Samuel mortgaged his own farm — as did other colonists for a combined $1,300, to another wealthy German. The repayment was initially onerous. 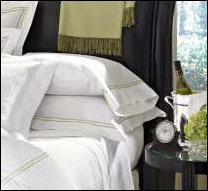 When the Civil War broke out in 1861, suddenly the products from the colony found markets rapidly on the rise. Before the war, Samuel's wheat only fetched 40 cents a bushel. When drafted troops needed bread and hardtack, however, prices rose until wheat sold for $4 bushel; wool for $1.50/lb; and hogs $20/hundredweight. By then, Samuel had taken over the mortgaged lands of several colonists and he took his profits to the German holding the mortgage, paying off the balance in a roll of greenbacks. That enraged the mortgage-holder because the paper money had depreciated to about 40 percent of the pre-war value but he finally accepted payment. Otto did not mention much about his childhood in his diary but he shared some details in a July 22, 1927, letter to his younger brother Emil Klement (by Samuel's third wife). The letter followed a visit by Otto and Eva to Emil's Wisconsin "Rock Bottom Farm," and he reviewed some incidents from his younger days. He wrote that he worked boiling sugar at his uncle's molasses factory and helped his father dam the nearby creek so they could wash about 100 sheep. He recalled skating on the nearby marsh and how he killed a raccoon with a corn knife. He was especially amused by the memory of his father wagering on a race with another man to Milwaukee to buy 80 acres of meadowland near the lake. His father left on foot while the other man rode on horseback through what was still wilderness but Samuel Klement won the race. He recalled with pride that when the German colony was formed, "Cholera broke out among them and some of them died. Dad, down with it [cholera] but liveliest among them, crawled on his hands and knees to the potatoe patch and dug potatoes to keep the rest alive. The colony came on the place in 1845." Otto's 1930 history of the family apparently resulted from that visit. 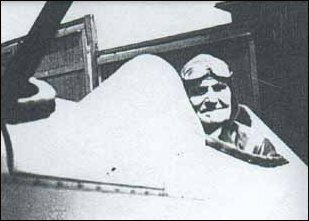 Otto in an airplane, sometime in the 1920s or '30s. We can find no reference in the memoirs to him flying. The photos of the family that we share are scanned from photocopies, not the originals, so please excuse the poor quality. There were no boats direct to the sound in that day; one steamer, however, made monthly trips to Victoria. This steamer had sailed the day preceding my arrival in San Francisco, involving a 30 day layover, meanwhile I familiarized myself with the city and its environment. The name of the steamer in question was Prince Albert, a British boat and a veritable tub, requiring seven days to make the run. Arriving in Victoria I found a steamer, the Northern Pacific, a large new boat, making weekly round trips between Victoria and Olympia, due to sail the next morning. I took passage on this boat for Olympia. At Port Gamble, however, a representative of the Gamble Mill Company appeared on the dock looking for mill hands. I engaged with him and went to work in the sawmill at $40 per month and board, working twelve hours a day. My object in coming west was to avail myself of the opportunity of taking up land, so, after continuing in this employment for five months, I purchased a rowboat, laid in a supply of provisions and tools and struck out for the Skagit River Valley. At this time Victoria was the only town in this northern country worthy of the name. Seattle had a scattered population of around 600 souls, Olympia about the same, while Tacoma was not yet on the map. Indians, however, were everywhere, perhaps a hundred where there is one now. Lumbering, practically speaking, was the only industry, represented by half dozen sawmills located at eligible and widely separate points, while logging camps were distributed in like manner. At that time, Washington was still a Territory and Skagit County was still the southern half of Whatcom County. You can read two of the linked stories to learn how he worked at the Pope & Talbot mill, paddled across Puget Sound and established a small farm near the Riverside district of Mount Vernon. We have posted Otto's river experience in a series of excerpts from his diary, so we will just provide an overview of his life and impact in this profile, sharing material not covered in his memoir. You may recall that the Northern Pacific Railroad chose Commencement Bay (future Tacoma) as its western terminus in that year of 1873, which was also the year of the national Financial Panic, caused by financier Jay Cooke and his promotion of NP stock. As Otto commented, "I arrived here in the year of the panic of 1873, although we did not hear of the panic until a year or two later." The pioneers of the Northwest traded by barter and horse-trading and did not depend on the gold and silver markets of the East for making a living. Otto's first Skagit years spent from Avon to Sterling We find that Klement initially settled for a short time at the horseshoe bend of the Skagit directly above the logjams that still choked the river at the site of future Mount Vernon, an area that would be named Avon ten years later. Like all frontiersmen of that era, he probably scratched out a living taking any job he could find, mainly farm work. He worked in various logging camps for people like Winfield Scott Jameson and for LaConner-area farmers during harvest time, and he eventually learned how to "cruise" timberlands, determining the projected value of the timber for financiers. We know that Klement did not stake a legal claim at Avon before William Miller and then A.H. Skaling settled and platted the temperance town, but he wrote about the bend area extensively in his memoirs. Like others who explored the upper reaches of the river he portaged around the jams with Indians who knew the way, and then paddled upriver with the guides. He described the location of the cabin where he learned to read and that puts him somewhere near Hart's island, which was then south of the main channel of the Skagit River. "What little education I have I dug out myself in a little cabin on a timber claim between the Batey place and old Sterling. I could not write my own name." He may have shared the cabin with Lafayette Stevens, who arrived here the same year. The river at that time flowed west past future Sedro and then formed a double-horseshoe meander with one bend pointing north and the other pointing south. David Batey and three other British bachelors staked their claim in 1878 on the north shore of the Skagit, east of the bend, and "old Sterling" was located on the west shore of the river channel as it flowed south down from the north arch of the horseshoe. Klement's notes are where we learned that the Olympia Marsh north of Avon was named for settlers who came up from the territorial capital a decade or so before. His memoirs include many tantalizing items about the experiences that made those days different than even those of just a generation later. For instance, in writing about Avon, he noted that a large herd of elk loved the marshes and returned there to graze every year. Hunters and fishers will especially be interested in our transcribed chapters for details about bear, deer, cougars, ducks, geese and many species of fish. He also provided details of diking, which was the secret to the success of so many farmers on both the delta and the low lands beside the upper stretches of the river that had formed from silt deposits. He recorded details about the original farmer of the Swinomish flats, Mike Sullivan, "an eccentric little Irishman" who conceived in 1869 "the idea that by throwing up dikes to keep out the tides, the land might be utilized for farming." Readers may be shocked to read Klement's claim that thousands of acres on Fir Island and the river delta were taken up in late 1872 "and by the time of his arrival in 1873 there was scarcely an acre left, even though the claims were preemptory, waiting for an official survey. This photo of Lyman shows the layout of the young village after the arrival of the railroad. Taken sometime by 1910, the photo shows a view looking south to the river. The Lyman Hotel and Saloon is to at the far left, with the Minkler store and post office to the right of it, and the Knights of Pythias Hall, built in 1889, is at the right. At the far back center, behind the trees, was the Henry Cooper house, the first built in Lyman in about 1883. After the Seattle & Northern Railroad came through town in 1890-91 on a route about where the photographer stood, the Cooper home and some businesses in town were moved away from the steadily advancing river and some were turned to face north and the depot. We are unsure where and when Klement relocated after moving from his original 1881 trading post, which originally stood on a business block on the bluff that was washed away by the river after 1887. Photo courtesy of Maxine Meyers. Her husband, Bud Meyers, descended from his grandfather Henry Cooper, whose land encompassed part of the original 1887 plat by Klement. Four years after arriving, he became a member of the prospecting team that began prospecting for placer gold on the creeks of the North Cascades after Indians told the men about unusual yellow rocks. In the years of 1877-80, he joined in with upriver pioneers such as Albert Bacon, John Rowley and Karl von Pressentin as they walked the creek-beds of tributaries to the Skagit. Their third foray into the mountains led to the short-lived 1880 Ruby Creek Gold Rush, as you will read in a linked story. Along the way, he named the Cascade and Baker rivers and Thunder creek, among others places..
Exploration and prospecting by that group led to the first crossing of the Cascades by white settlers and then the gold rush. We are indebted to Klement for actual details of the Ruby City mining camp, which at one time housed more than 2,000 argonauts. We recently read every page of the 1880 federal census of the Ruby gold mine area and we found a few surprises. For one thing, Klement was enumerated as a mine himself, at the Ruby Canyon Granite Mill, age 42, along with his friend, John Bieble, who was listed as a carpenter, age 28, and a Pennsylvania native. Bieble was the original bartender at the saloon in Harrison Clothier's and Ed English's trading post when they founded the town of Mount Vernon in 1877, and he figures prominently in the 1882 story of Lyman, the good ole boys and the pig. When he finally had his fill of gold fever, Klement settled a mile east of hop farm on the north shore of the Skagit owned by Alvin R. Williamson, the first settler upriver from the jams in 1872. Williamson's fram was just south of what was later called Child's Spur, a logging railroad branch, about a mile or two west of Lyman. Klement built his grand home on the bluff north of the river in 1906. It still stands on First Street. We are unsure where his original home was but we suspect that it was in Block A, south of First Street, in his original 1887 town plat. That block slid into the river sometime around the turn of the 20th century. 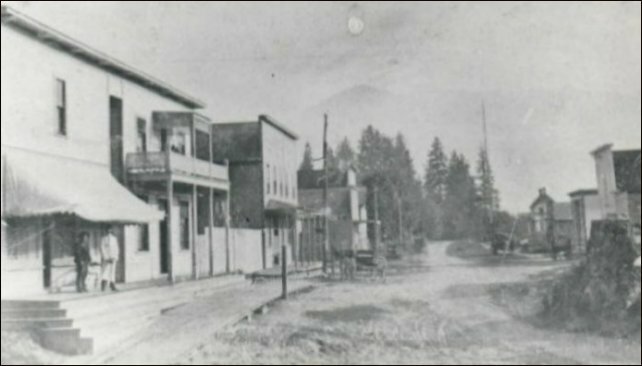 Otto opened the first trading post in about 1881 on Henry Cooper's property, about seven miles upriver from the future site of Sedro. Lorenzo Lyman, one of the mysterious Skagit pioneers, named the town for himself when the U.S. post office assigned him as postmaster on August 2, 1880. We discovered him in the 1880 census, enumerated in what was then called the "Skadget River" district by the government scribe. From his neighbor' listings, we determined that he lived on or near Cockreham Island. He was 51, a physician and surgeon, married a New York native. 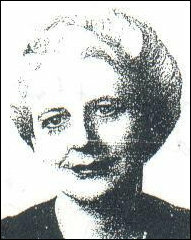 A story in the Sept. 22, 1949, Sedro-Woolley Courier-Times includes memories of Henrietta (Cooper) Meyers of Lyman, in which he recalled that Lyman was a civil war veteran and ministered to settlers' needs for "several years," but she does not say when. She noted that "where or why he left, no one seems to know." We explain more of our discoveries about him in our separate profile. Settlers began pushing into the upriver region after the logjams were cleared from 1878-80 and the nearest doctor was either 20 miles away in Skagit City, except for a Dr. William T. Dure, who was in one of the gold camps. 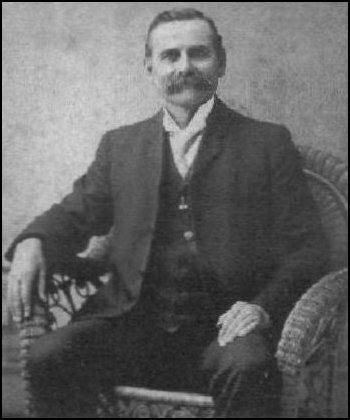 Klement took over the postmaster duties from Dr. Lyman on Nov. 9, 1881, according to the late Maxine Meyers. Klement's trading post became sort of a hunting lodge and community center for the good old boys of the area, including two of the most colorful, Henry Quinn and John Bieble. His business was originally part of his partnership with Clothier and English and he described it thusly: "consisted of a store, post office, hotel and saloon, all housed under one roof, and had become the hangout of the motley population." By 1884, settlers arrived on nearly every passenger run of various steamboats that made it up to either Lyman or Sterling, nine miles downriver. 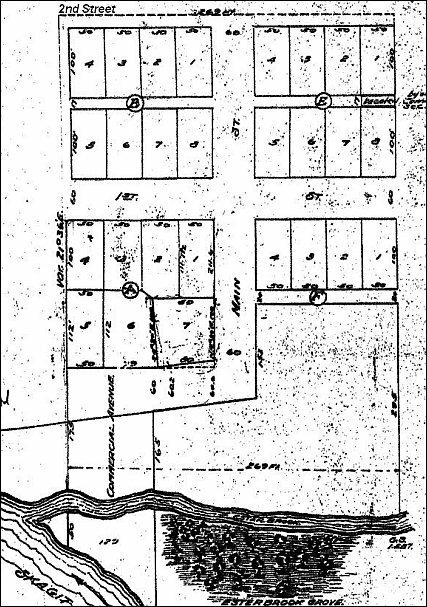 Klement platted the town of Lyman in 1887, probably hoping that it would become the upriver trading center. We will share in future transcriptions several incidents that display Otto's curiosity about and friendship with the native population all along the Skagit River. He served more than once as a peacemaker when Indians reacted against the federal surveys of the upper river in the late 1870s and early 1880s and hosted a peace conference with federal troops in Lyman in 1882. In his daughter Eva's obituary, Otto was lauded as being "well known and respected for work with the American Indian." The late Bud Meyers (1911-2001), the son of Frank and Henrietta (Cooper) Meyers, was one of the first professional steelhead-fishing guides on the river, starting during the 1930s Depression years. Klement built the house that still stands on the bench on the north shore of the Skagit in about 1907. The river washed away his original homesite a few hundred yards away on one of the islands formed by the river and a slough. Bud's grandparents owned the house next door to Klement's second house and they willed it to Bud. Bud's mother bought Otto's house when Klement moved away in 1923. Bud's widow Maxine still owned Klement's second house in Lyman until she passed away in 2002; their son, Bud Meyers owns it today. Bud spent much of his spare time with the older man after completing his chores. In an interview before he died, Bud told us that he always wondered as a kid why Otto wore formal wool pants every day; Bud thought then that they must have been awfully scratchy during hot weather. Later he realized that Otto liked to dress formally with the dress pants and a tie and when he walked the quarter mile to town he wore a derby hat. Even when Otto worked outside in the yard or in the lean-to shed that still stands, he was still neatly dressed. Otto with unknown woman at left and the woman at the right is Bud Meyers's great grandmother, Clara Cooper Flynn. Photo courtesy of the Meyers collection. Although Otto often worked as a timber cruiser, he never became a principal in either the Birdsey Minkler-Frank Ries mills of Lyman or the later Skagit Mill owned by J.T. and Josephine Hightower and Wyman Kirby, where Bud and his father worked until it was shut down in 1936 when the owners refused to pay a five-cent per-hour increase in wages. In the April 8, 1884, issue of the Skagit News of Mount Vernon, we found this brief legal notice: "The partnership of Otto Klement, Harrison Clothier and Edward English at Lyman dissolved Jan. 5, 1884. Klement assumes all liabilities," but we found no further details. Perhaps he began the trading post in partnership with English and Clothier. When Harrison Clothier and Edward English founded the town of Mount Vernon in 1877, Klement entered into a partnership with them that lasted apparently lasted off and on for at least seven years. In his memoir, Otto wrote that he was the one who introduced the two men to Jasper Gates, who initially claimed the land at the log jams in 1870, and encouraged them to start a town there. While researching our separate profile of Clothier, we discovered that although he was a New York native, he taught school and owned a retail business in Arcadia, Wisconsin from 1870-72, about 200 miles northwest across the state from Klement's birthplace. The first record we found of the three men as business partners was for the second saloon license in the area that became Skagit County. It was granted on May 14, 1877, in Otto Klement's name and the location is noted only as the "precinct of Mount Vernon." Both English and Clothier are named on the license so we assume that it was for the store that the town founders erected on what is now called Main Street, then just up the slope from the river landing. On May 20, 1886, Klement was granted the first official saloon license at Lyman — Klement and Co. — for a $100 fee but he obviously served liquor several years before that. One of our big disappointments is that in his surviving memoirs we cannot determine just when it was that businesses moved up from the riverside to the bench where they were when the writer lived nearby in the 1950s, where they still are today. Sometime in the 1888-89 period, as the whole county from Mount Vernon to Sedro-Woolley to Hamilton buzzed with news of railroad booms, Klement returned to Mount Vernon. In his brief obituary, we read that Klement was "associated with the late E.D. Davis in the hardware business in [Mount Vernon] from 1888 until about 1895." Eli Daniel Davis came out here from Illinois. In the Dec. 16, 1889, Skagit News, they advertised together at a store on Second street. In the March 4, 1892, edition of the Mount Vernon Chronicle, they advertised a hardware store on First street. The obituary also noted that "following the dissolving of their partnership, they subdivided and sold lots near where the ball park is located now [Sherman Anderson field in south Mount Vernon by the fairgrounds]." We are unsure about when Otto moved back up to Lyman permanently. In fact, he may have even lived in Seattle for a time after his first wife died in 1898 and he may have met his second wife there. One key part of Otto's memoirs that apparently disappeared in the dump was any discussion of his two marriages and his children. While he was in business in Mount Vernon, Klement married Mary Hall on June 5, 1889, the day before the Great Seattle Fire that destroyed much of that young city. Usually called Mollie, she was a native of Chautauqua, New York, born there on Aug. 14, 1862, and was ten years younger than Otto. They had four children together: Norman O. in 1890, Raymond F. in 1892, Eva E. in 1896 and Mary Virginia in 1898. Mollie died on Feb. 28, 1898, apparently from complications of childbirth, three weeks after the birth of their daughter, Mary Virginia. 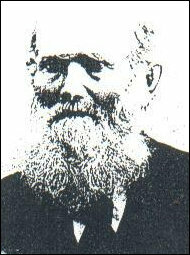 We have very few details of his first wife's life except that they were both charter members of the Skagit County Pioneer Association. In the surviving documents, we find that Otto was on the committee for the April 25, 1891, planning meeting in Mount Vernon, which organized the group for pioneers who were residents prior to 1875 and their spouses and descendants. The inaugural reunion and picnic was staged at a meadow near Skagit City on June 6. Otto signed the guest book and his wife signed as Mollie Klement, honorary member. 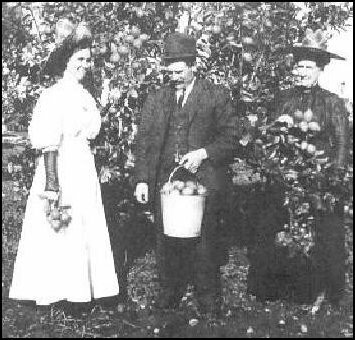 Mary K. Crane, a Klement descendant from Wisconsin — the granddaughter of Rudolph, the youngest child by Otto's mother, Barbara, prepared a detailed family tree and her records include the only details we knew about Otto's family genealogy when we wrote our original Klement profile. She shared an obituary of Otto's second wife from the Sept. 18, 1960, Seattle Times. Catherine Burke was born in Liverpool, England, and her family emigrated to Pennsylvania when she was an infant, and then soon moved to the Skagit valley in the early 1870s. We do not have the date of Otto's second wedding and we conclude from her obituary that they separated sometime before he moved south to join his daughter. He and Catherine did not have children together. Maxine Meyers commented that theirs was an "unfortunate marriage." The obituary states that in 1915, Catherine and her sister Margaret Bradley opened the Winslow Hotel, which housed workers for the Hall Brothers Shipyard at Eagle Harbor and burned in 1924. Catherine must have been married before because the obituary says that she lived with her daughter, Mrs. Andrew Gilmore, on Bainbridge Island from 1939 until her death. According to Winslow history, a brewer from Seattle built the hotel sometime by 1903, but sold it when he realized that the town would not tolerate the sale of alcohol. Crane wrote that Norman, the eldest Klement child, was educated in Seattle schools, then worked as a hotel clerk and served as an Army engineer in France during World War I. He worked up and down the Coast from Alaska to South America and had settled in San Diego by 1930 but was apparently not heard from again. Raymond is depicted as a brilliant student who took science courses after high school and worked in laboratories in Concrete and Los Angeles before he died in 1924 at age 32. He is buried in the Lyman cemetery beside his parents. We have no other records of the boys. Eva attended the Normal School in Bellingham (now Western Washington University) and then trained to be a secretary in Los Angeles. After a short interval in North Dakota, she returned to Seattle and taught for at least a year in the Lyman School. She met W.E. Hamilton, a businessman from Oregon and after their marriage, they moved to Lake Oswego and Eva started a career as an X-ray technician. Later, as either a widow or divorcee, she married Dr. Wallace Haworth and when she died of lung cancer in 1953, they had a home at Friday Harbor in the San Juan Islands. Otto's 1887 plat of Lyman. Note that the town ended at 2nd Street to the north, where the Minkler Mansion now stands, and ends at Commercial Avenue, on a dogleg to the south, which is now in the middle of the river channel. Courtesy of the Meyers collection. Otto told him, "I'll make you a deal, from now on, I'll call you Bill and you call me uncle Dudley." Dad's stories usually had a twist: Otto used to pay any Indian woman $1 if she would name her son Otto. Consequently, there were a lot of native boys named after him. Otto was an entrepreneur and at one point he started an egg business and had at least a half dozen hen houses and hundreds of hens. His business prospered until he purchased some bargain feed. His entire flock of hens went into molt and the enterprise went bust. He sold off most of the chickens but reserved about 30 Rhode Island Reds. According to dad, Otto offered him the hens and use of a hen house with one stipulation: "Bill you've got to make a sign and nail it over the hen house door. It has to read, "Meyers Henery." Dad said he was excited and quickly complied, got a scrap board and some white paint and made a crude sign. About 1931, Otto visited my family and saw dad ravaged by TB. He said, "Bill, the way you're looking you may not make it! You better go back with me to Oregon." Dad did and spent several months there. The Rx of the time was fresh air for TB. Maxine Meyers told us that Otto was also diagnosed with tuberculosis sometime during that period. Although a strong, strapping adult, Bud went to Oregon sickly and came back on the mend. The old man taught him survival skills and toughened him up, taking him out for long rowboat rides on the lake where he fed him home brew. Otto died at a Portland hospital on Christmas Eve, 1942, after a two-month illness, and is buried in the family plot at Lyman. The youngest daughter, Mary Virginia, took business courses after high school and was employed in a Seattle wholesale distributor. 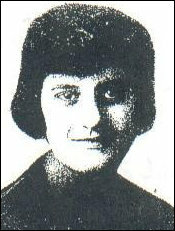 She married Edward C. Moulton and they lived in Seattle with two children at the time of Otto's death. She was the only one out of all four Klement siblings to have children. In 2007, Otto's great-grandson, Bill Moulton contacted us after reading our original profile of Otto. He lives in Kentfield, California, and descends from Mary Virginia, the only Klement child to have children of her own. She married Ed Moulton and they had two children while living in Seattle, Jack Edward and Echo June. Echo June Moulton passed away in California in early 2008 after 64 years of marriage to her surviving husband, Pete Peterson. Bill's father, Jack Moulton, died in California at age 81 in 2003. He was the Professor of Veterinary Pathology, Emeritus, at U.C. Davis. His widow is Idell Moulton and Bill has two sisters. Echo June and Pete had one daughter together. They have all helped us fill in the gaps of the Klement genealogy. Our exclusive profile of Harrison Clothier and the birth of Mount Vernon, the town he founded with Edward G. English in 1877. Part one — Part two will come in 2008. Many thanks to Bud Meyers, who has shared details about early Lyman settlement, which supplements information provided by his parents, the late Bud and Maxine Meyers.